This guide to coaching female athletes of all ages shows how to build a team and provides invaluable advice on the differences between coaching males and females. The authors include exercises that foster teamwork and develop essential skills. They also answer parents' most common questions, such as how to tell if the coach is doing a good job and what to do if a child wants to quit. 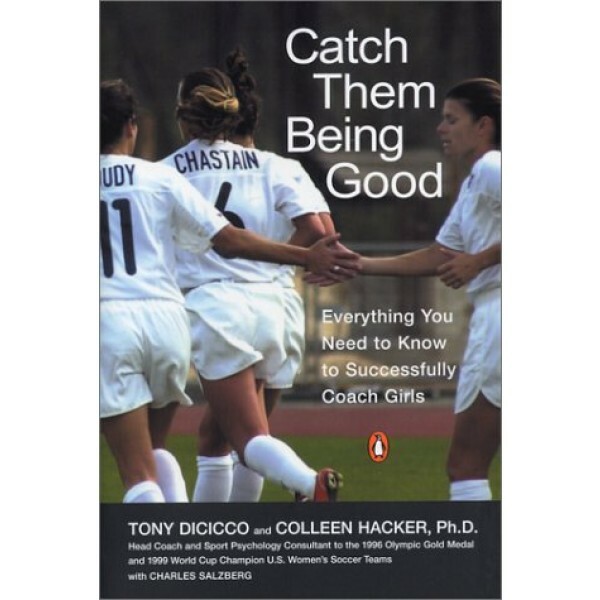 Filled with stories about the Olympic and World Cup championship teams, this useful handbook is infused throughout with DiCicco's philosophy that at every level playing soccer (or any sport) is about "playing hard, playing fair, playing to win, and having fun." 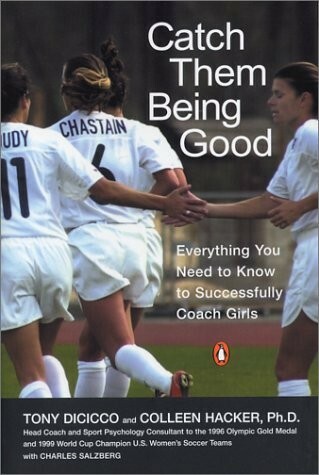 "Primarily written in DiCicco's enthusiastic voice that's straight off the sports field, the book's practical advice includes insight on coaching girls and women (forget the outdated intimidation tactics used by many famous coaches for men); forming a team, making cuts and nurturing exceptional players; criticizing and motivating effectively; working with parents; and evaluating one's own coaching performance. Throughout, Hacker offers clear, helpful ideas for team-building exercises, while DiCicco follows with companion training workouts. Most of the examples focus on soccer, but coaches of all sports will learn a great deal from this straightforward guide based on impressive experience." -- Gillian Engberg, Booklist.